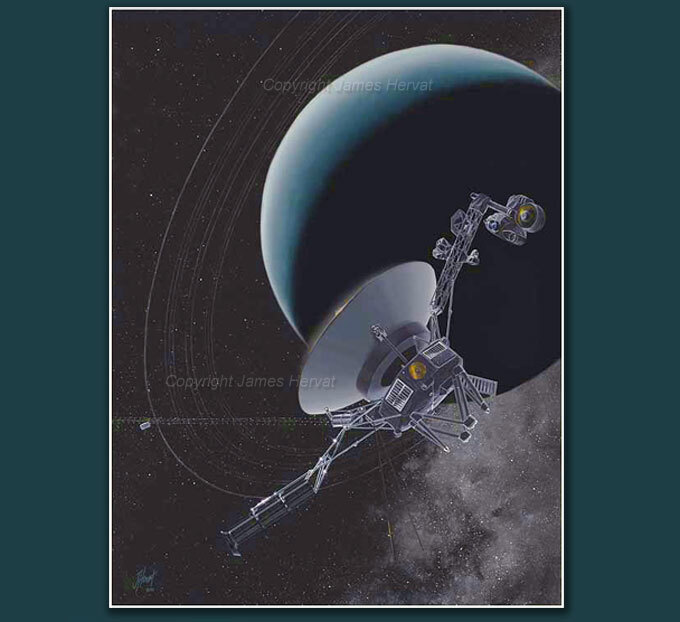 Voyager 2 and Uranus (1993) - Continuing its trailblazing tour of the outer planets, Voyager encounters the Uranus system. 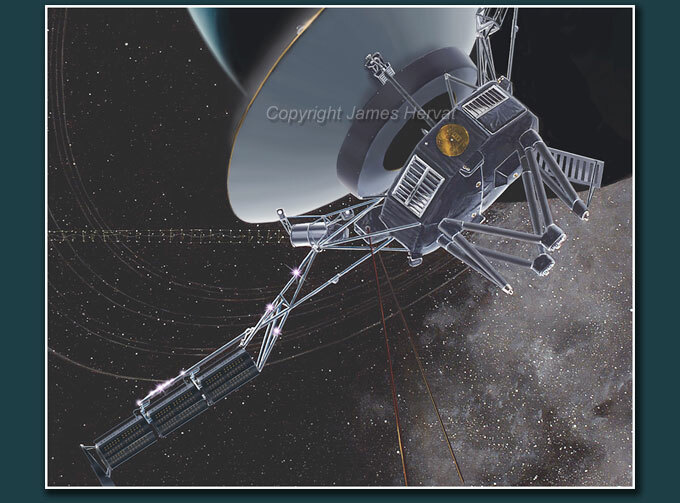 Having already traveled for almost a decade, the spacecraft overcame an arthritic scan platform and other ailments to provide the first close-range views of the gas giant, its dark rings and its satellites. Publication: Sky and Telescope (cover art), Equinox. High-quality reproductions of all the artwork in this gallery are available from my Print Store. They are offered in a range of sizes, printed on paper, canvas or other print substrates. Prints can be ordered unframed or you can choose from a selection of framing and matting options. Orders are usually shipped in 2-3 business days and come with a 30-day satisfaction guarantee return policy. Please see the PRINTS page for more information and a link to the Print Store.